One coach tells his players, "Rip their freaking heads off and let them bleed." Another coach smacks a player in the head while telling him, "Don’t give me that soft crap." The next season of HBO’s "Hard Knocks?" An ESPN documentary on the famed defense of the 1985 Chicago Bears? Nope. This is the Esquire Network’s new show "Friday Night Tykes," a documentary about the Texas Youth Football Assn., whose players are under the age of 10. The coaches say things that might make even Mike Ditka cringe. "I don’t care how much pain you’re in, you don’t quit," one crying kid is told by his coach. Besides screaming coaches, the preview clip also shows several helmet-to-helmet collisions. 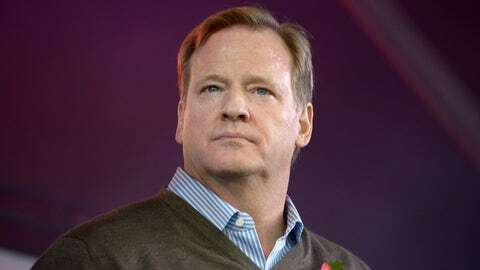 That has the National Football League, which has been trying to reduce the number of head-to-head collisions among its players through penalties, fines and education, concerned. "The trailer is definitely troubling to watch," an NFL spokesman said, adding that the league being shown in "Friday Night Tykes" is not part of its Heads Up Football Program, which seeks to improve player safety in youth football. An Esquire Network spokeswoman said, "Friday Night Tykes" provides an "authentic and provocative glimpse into an independent youth football league in Texas." The spokeswoman added, "We believe ‘Friday Night Tykes’ brings up important and serious questions about parenting and safety in youth sports, and we encourage Americans to watch, debate and discuss these issues." As for the Vince Lombardi wannabes, the spokeswoman said that throughout the series, "coaches and parents offer insight into why they believe they are teaching their children valuable lessons about discipline and dedication."